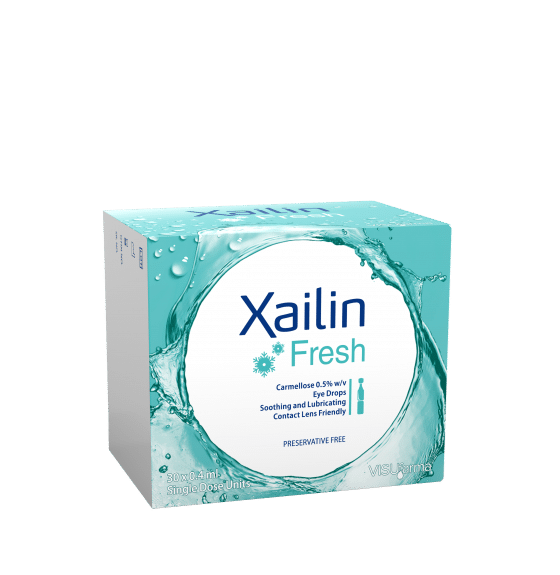 Xailin Fresh is a preservative-free long-lasting lubricant that soothes and relieves moderate to severe dry eye sensations. It may also be used as a contact lens hydrating solution. Xailin Fresh comes in the form of sterile single-dose 0.4ml units (eye drops) typically in a pack of 30. For more detailed information on Xailin Fresh please visit our local VISUfarma websites here.